Toastmaster Raphael Kopel a member of Watford Speakers (and Past President of Experience French & St Paul’s Speakers) has produced a video to commemorate the affiliation of our very first Toastmasters Gavel Club in District 91. The club is at Merchant Taylors Prep School where he teaches. Enjoy watching the pupils aged 10 to 13 years old getting the most out of our Toastmasters program. Congratulations Raphael and your pupils for this achievement. Please note this Gavel is an ‘in school’ club and not an ‘open’ membership one. If you would like to see Youth Leadership Program and possibly Gavel Club at your son or daughter’s school why not begin by discussing with your Club President and committee to see if it can be included as a club project, prior to contacting the school. This is an important moment for us in District 91 Youth Leadership because it means that following on from Youth Leadership Program the school has been the first to take the step into a closer relationship with Toastmasters International. Membership of a Gavel Club is open to those who are too young for full TI membership ( i.e. under 18 years old) but also when founding a club for specific groups, for example projects with people who are unemployed/ unwaged. The clubs are popular in High Schools in the USA. More details of Gavel Clubs and forms can be found on Toastmasters International website. At District 91 we suggest that your club organizes a Youth Leadership Program initially as this helps to train up a team of good role models among the young people for your Gavel club officerships. 2015 / 2016 has been a very rich year for our youth work and we were able to share the fruits of our young people’s efforts with some very fine speaking at the YLP Speaking Showcase last week at conference. My thanks to all and do contact me if your club would like to be involved in YLP. 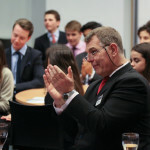 The first ever Youth Leadership Programme (YLP) at Malvern College culminated in a Speech Extravaganza evening held at the mythically named Gryphon Room. Under the watchful eye of Headmaster Mr Antony Clarke, parents and special guest Mr Phillip Serrell (of BBC’s Bargain Hunt, Flog It); sixteen students from all over the world successfully delivered their final speeches to complete the course, which had run over several weeks since the beginning of the year. The entire evening was organised by the students. Three of whom skilfully and professionally acted as “Toastmaster” for each segment of the speeches, while others acted as timekeepers in true Toastmasters tradition! The students gave speeches on subjects as varied as “The delights of living in an extended family of twenty relatives”; “The notorious worst-ever Nobel Prize”; “Discovering the joy of Coasteering”; and the story behind the painting “The Raft of The Medusa”. The project was a joint venture between Malvern College (Dr Martin Harris) and Malvern Speakers. It was led by Steve Birch who was supported by fellow Toastmasters (all from Malvern Speakers). The students homelands ranged from Nepal to the USA. The effectiveness of the programme was underlined by the fact that for most of the students English was their second or even third language. 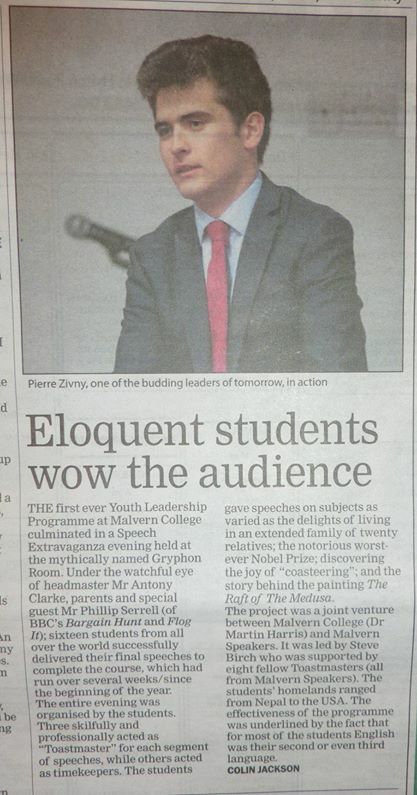 Congratulations to Malvern Speakers for their article about the YLP that was published in the Malvern Gazette! A good Apprenticeship provides the employee with both the training and hands-on experience that are required to succeed in their future career. 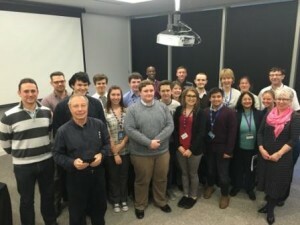 When managers at an International Pharmaceutical company in South East Kent, UK were looking at ways to educate their apprentices in the art of good communication, they reached out to their local Toastmasters Club for help. Once the agendas were mapped out, 8 x ninety minute sessions were booked, with a ninth session pencilled in for the ‘showcase event’. “Every participant was asked to present two short speeches during the course of the program. Whilst the speaker got to select their own topic, we did ask that one speech be about themselves, or about something that they feel strongly about. The other speech needed to be work-based. Each week, the bar was raised in terms of what the speakers needed to achieve. The first speakers had to overcome the biggest nerves, but the bar was fairly low – just make sure that the presentation had a beginning, a middle and an end, and lasted for between 4 – 5 minutes. The next cohort were asked to give their speech a purpose, or ‘take home’ message. After that, speakers were asked in turn to introduce visual aids, body language and to vary their voice and language to further bring their presentations to life”. The main adaptation for this particular audience was to include a session on giving technical presentations. As if standing up in front of each other to present wasn’t enough, the apprentices also took turns to give each other feedback. The final element of the course was to practice ‘impromptu speaking’ in the form of Table Topics. On 27th January 2016, the apprentices invited their supervisors to a ‘showcase event’ where they could demonstrate their new-found skills and confidence. The lively program of entertainment included a ‘Would I lie to you’ style round of ‘This is my…’ where apprentices Josh Bucceri, Aidan Harper and Tony Reynolds each claimed, in turn, to know a distinguished looking gentleman (he turned out to be Josh’s dad!). Arguing for a place in the lifeboat, Charlotte Carr, Adam Gymer, George Cossons, Sam Young, Rebecca Johnson and Ben Cooper each presented a compelling case as to why their character should be saved from a sinking ship. An audience vote determined who survived. Riley Glendinning and Amy Mercer led the fun. In closing the event, Club President Jeremy Swallow presented the apprentices with a certificate of completion and thanked The Toasted Sandwich team for an outstanding piece of work. The Toasted Sandwich Toastmasters Club meets every Wednesday lunchtime from 12 noon – 1pm in Discovery Park House, Sandwich, Kent. The Club is open to all, including employees of any company at Discovery Park and members of the public. For further information please contact: Bev Nicol or Arnaud Sartre (VP Public Relations) or go to the Club’s Facebook page at www.facebook.com/thetoastedsandwich. Fellow Toastmasters I can remember taking on my first club Presidency and wanting to contribute something of lasting value that other members could then mold and build upon as time progressed. I think we all, be it as club member or officer, are working towards both our personal growth goals and the continued long term development of our clubs, areas,divisions , districts, taking the communication and leadership skills we gain at Toastmasters International out into our daily lives. communities, the world ……….we can and do make a difference! One aspect of our Toastmasters Program that is definitely making a difference, especially in District 91, is our commitment to the Youth Leadership Program which is inspiring young people in schools and colleges. That is why I am encouraging you today to choose your favourite tea or coffee and sit down for five minutes to read a remarkable post from Paul Olaiya who gave a speech during ballot counting at Tower Conference in May 2015. It is time for us to feel both humbled and very proud that through the commitment of our District 91 Toastmasters giving their time and skills as YLP Coordinators we are making a difference to young people’s lives. They are delighted to learn and taking their new found skills with them through continuing education and ……out into the world! The Toastmasters Youth Leadership Program (YLP) is a workshop consisting of eight one- to two-hour sessions that enable participants to develop communication and leadership skills through practical experience. The YLP is presented during or after school. A local Toastmasters club serves as sponsor and provides a coordinator to present the program. 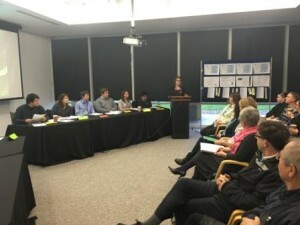 The individual coordinator attends each meeting, where he or she will lead most of the presentations and counsel participants. The school provides a member of staff to support the sessions and to follow up with the young people between sessions. YLPs have also been run at Youth Centres. Florian Bay was the coordinator for the most recent YLP that has been sponsored by a club in London. We asked him to tell us about the experience and what he had learned. Q: How did you get involved in Youth Leadership? A: It began with a phone call from a fellow club President who suggested I’d be a good person for this challenge. I‘d previously been made aware of Youth Leadership by one of my mentors Andrew Bennett (our District 91 Youth Leadership Adviser) but did not take the lead in coordinating a project, until that phone call. Q: What were the objectives for the school for the YLP? A: The school’s objectives were linked to the IBCC/Career Ready programme aimed at providing middle-achieving young people with transferable skills that can be used in the workplace. Q: Toastmasters is about teamwork: who was involved? 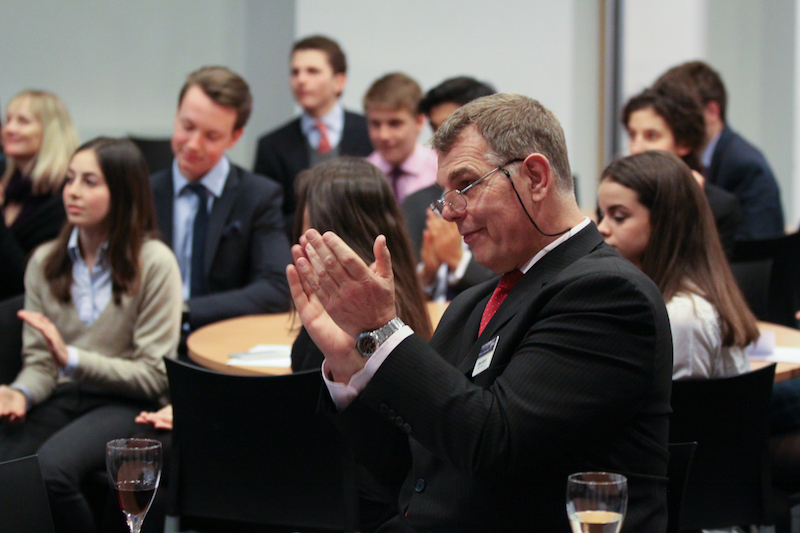 A: Canary Wharf Communicators sponsored the YLP and provided the equipment to get it running. 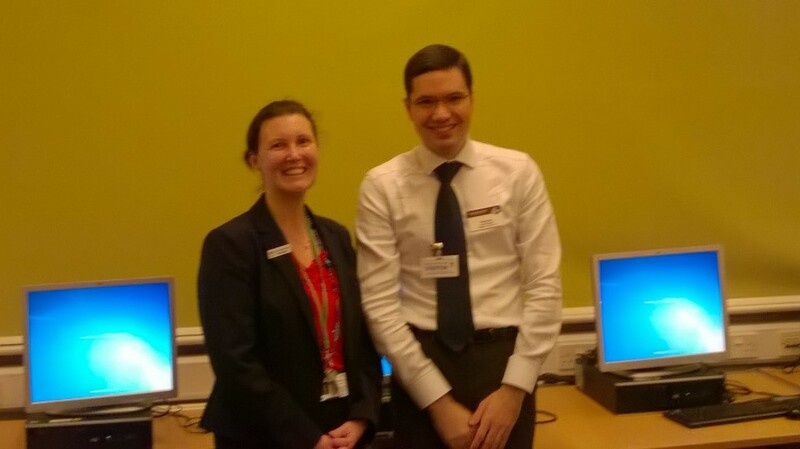 Visiting Toastmasters running educational sessions were Catherine Casale, Elizabeth Toohig and David Marks. The key contact at the school was IBCC/Career Ready coordinator Hilde Lewis. Her help was invaluable in making the programme a success. She helped by highlighting the value of the skills the students could learn from the YLP; supporting each session as well as following up with students in between sessions. Huge credit must go to the student committee itself. The committee members quickly made use of the tools provided to them, primarily spreadsheets, and liaised with Hilde to ensure that roles were filled.